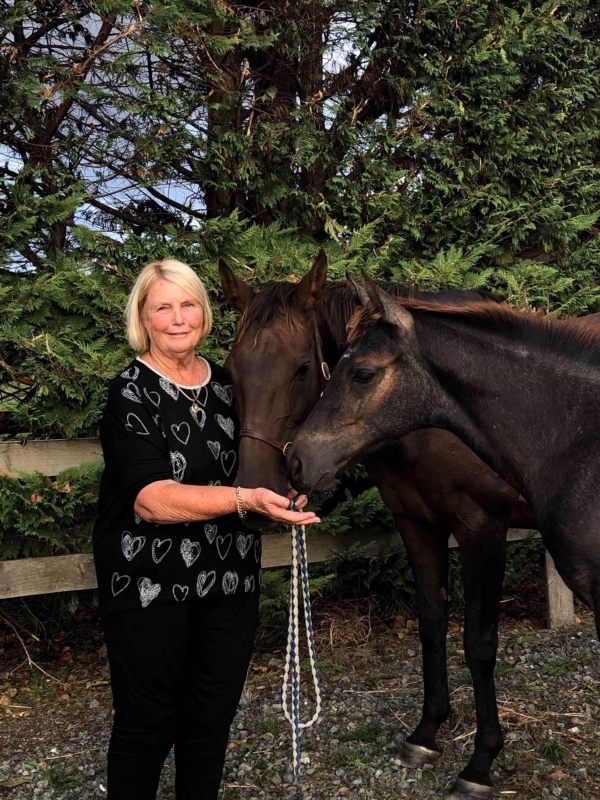 Judith Matthews with a successful Grosvenor thoroughbred mare and Copyright MH who is by Cornet Obolensky . . . her next superstar.